various topics of interest. 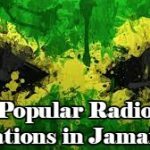 So making your radio listing experience better free radio tune has created a list of Popular Radio Stations in Jamaica. The music of Jamaica includes Jamaican folk music and many popular genres, such as mento, ska, rocksteady, reggae, dub music, dancehall, ska jazz, reggae fusion and related styles. Jamaica’s music culture is a fusion of elements from neighboring Caribbean islands such as Trinidad and Tobago . Reggae is especially popular through the international fame of Bob Marley. Jamaican music’s influence on music styles in other countries includes the practice of toasting, which was brought to New York City and evolved into rapping. 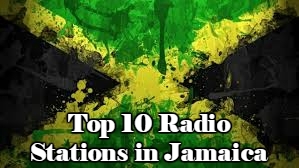 British genres such as Lovers rock, jungle music and grime are also influenced by Jamaican music. Mento is a style Jamaican music that predates and has greatly influenced ska and reggae music. Mento typically features acoustic instruments, such as acoustic guitar, banjo, hand drums, and the rhumba box—a large mbira in the shape of a box that can be sat on while played. The rhumba box carries the bass part of the music. Lord Flea and Count Lasher are two of the more successful mento artists. Well-known mento songs include Day-O, Jamaica Farewell and Linstead Market. Mento is often confused with calypso, a musical form from Trinidad and Tobago. As in many Anglo-Caribbean Caribbean islands, the calypso music of Trinidad & Tobago has become part of the culture of Jamaica. Jamaica’s own local music mento is often confused with calypso music. Although the two share many similarities, they are separate and distinct musical forms. During the mid-20th century, mento was conflated with calypso, and mento was frequently referred to as calypso, kalypso and mento calypso; mento singers frequently used calypso songs and techniques. As in calypso, mento uses topical lyrics with a humorous slant, commenting on poverty and other social issues. Sexual innuendos are also common.